Schools can be one of the most demanding environments for any IT professional. The user base of children is transient, often technically inquisitive but also lacking in adult awareness with regards to responsibilities and consequences. The administrative users, such as teachers and managers all have limited interest in the technology, and want simple solutions that they can grasp quickly and that will work immediately. Externally they face increasing pressure from government to meet targets whilst working within very narrow budgets. This makes the prospect for many people of trying to manage the IT department, daunting. APSU was able to help Graeme Lee, IT Network Manager at Clyst Vale Community College, meet all of their demands when the school renewed their IT infrastructure. Like many government institutions of its age (1960s buildings in need of substantial upgrade), Clyst Vale Community College underwent a phoenix like review of its infrastructure. 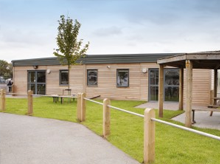 Clyst Vale is a successful, oversubscribed school with more than 1,000 children on roll, which needed a complete overhaul of its IT infrastructure, including new buildings. Graeme Lee was asked to complete this task within a year and without causing disruption to the core activity of teaching and learning. Graeme outlines the problems he faced: “Our servers were coming to the end of their warranty period, and with 15 servers racked up in a tiny space and no room for expansion; air conditioning was proving increasingly difﬁcult and expensive to run. Demand on the servers, and no budget for a dedicated test platform, meant that we had no opportunity to test new solutions without affecting the existing users. With the desire to accommodate Virtual Learning Environments (VLE’s), the requirement for 24 hour access was stretching our capabilities to their limit. We had no fault tolerance, and were at risk of being exposed. And ﬁ nally, as the load on the servers increased, so did the time taken to make reliable back-ups”. These are common issues facing many schools, and Graeme sought the expert advice and help of APSU to help him create a large part of the solution. Provision for the networking piece was already under contract with an incumbent supplier, and he used APSU to help him specify and migrate to a virtual server environment using VMware. Convinced by what he had seen at Axminster Tools, Graeme performed thorough due diligence, and asked other parties to quote for a virtualised server environment and at the end of the process, APSU won the contract. “There was a person at the end of the phone; it was someone we could deal with. We didn’t get that with other companies. With the others, all the techie talk was behind closed doors,” says Graeme. The ﬁrst task for Graeme was then to outline the options for curing a failing IT infrastructure to the Senior Management Team (SMT). “They realised there was a need for increased fault tolerance, improved DR times and, most importantly for a better user experience. We’d subscribed to a volume Microsoft deal, and we wanted to make better use of software upgrades without the hardware constraints,” he explained. "We’re now running a very complex network and the documentation is an absolute necessity. APSU has been brilliant. I’d recommend them to anyone."